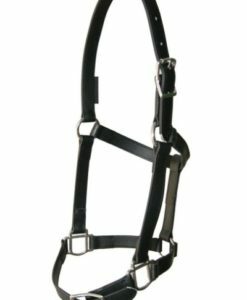 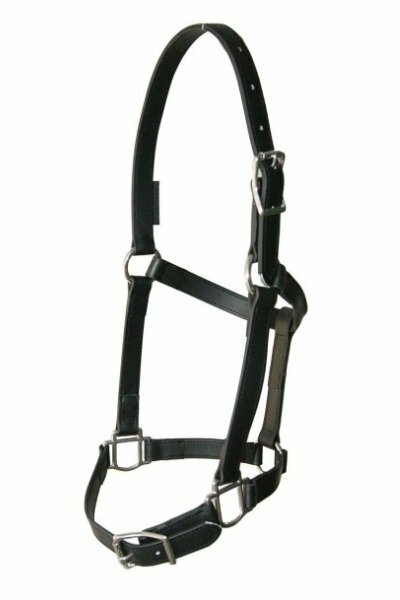 Beta Buckles Up (Safety) Halters feature the European style top nose buckle. 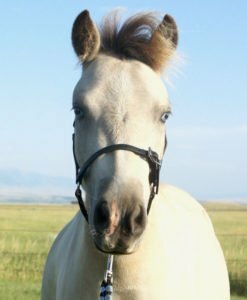 Unbuckle the nose and you still have control of the horse! 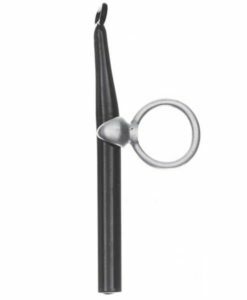 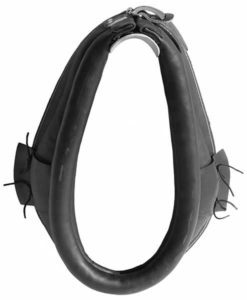 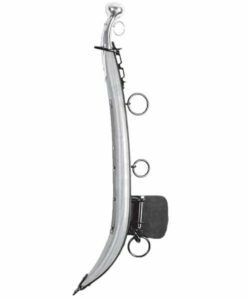 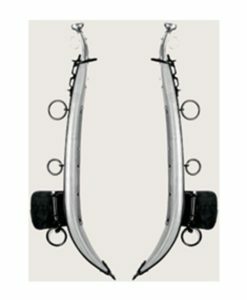 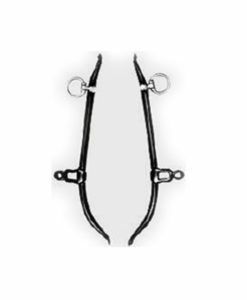 Perfect for Under driving bridles, transporting or grooming. 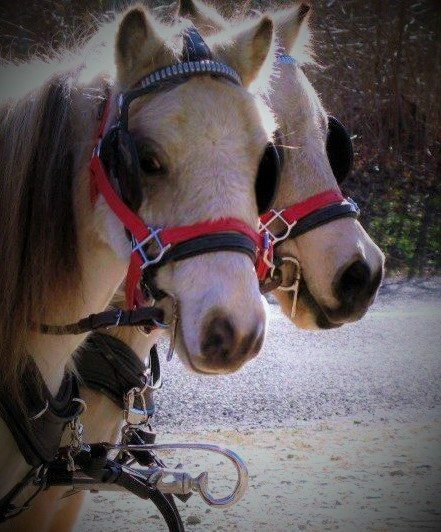 Recommended for safety in transporting your animal by dear friend and long-time customer, Isabelle Moe. 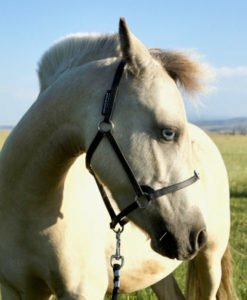 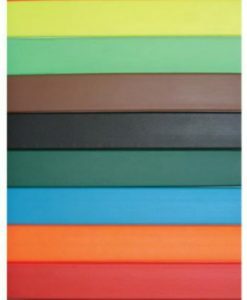 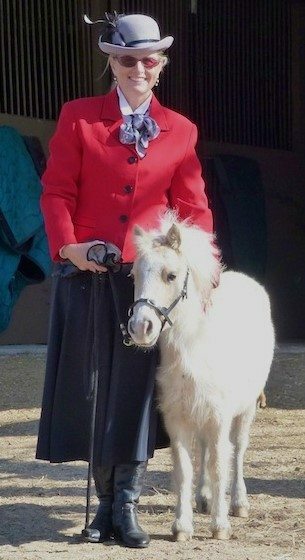 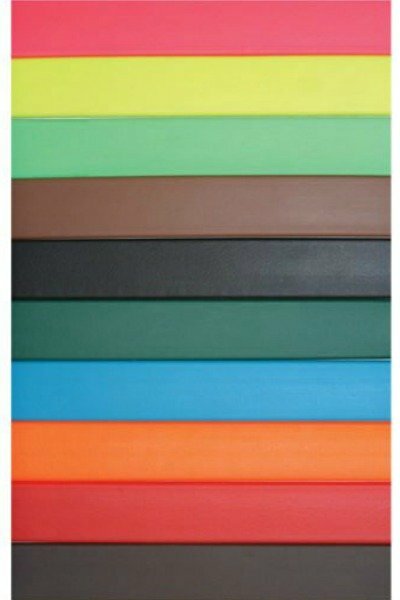 These are available in many sizes and widths.These halters are completely weather resistant, don’t fade, are non absorbent and stay soft and flexible. 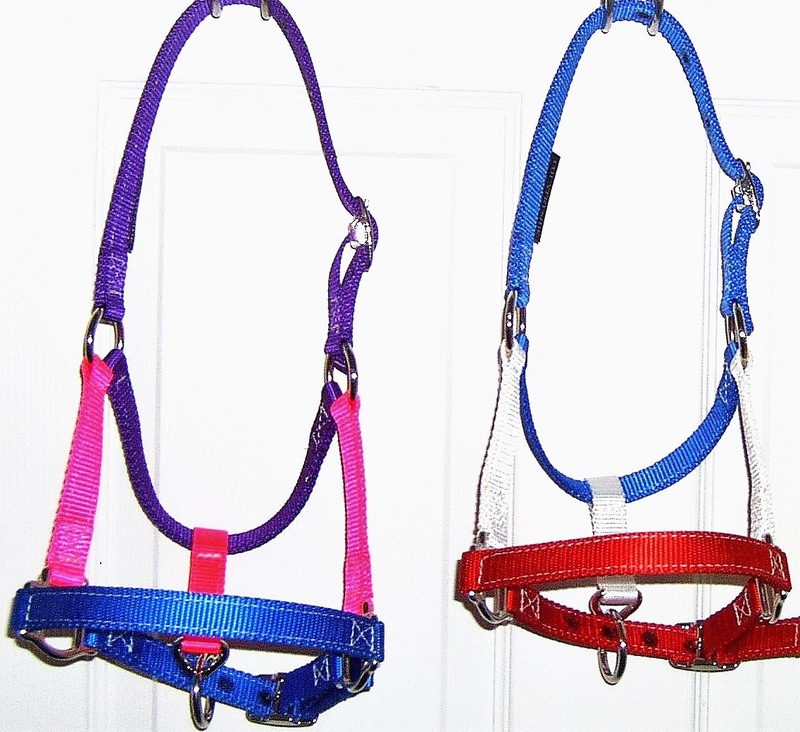 These handy safety halters are available in all colors. 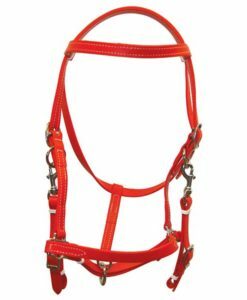 We stock these in black; for other colors please allow 2-3 weeks. 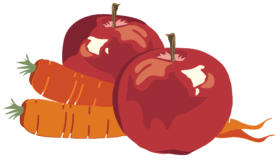 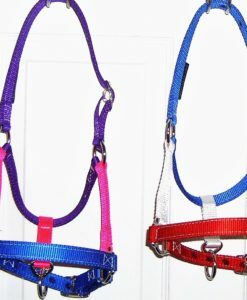 Colored items are fully guaranteed but not returnable.Mix and match colors are available, please provide colors wanted and allow 2-3 weeks. 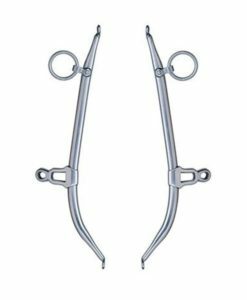 Throat snap available please allow extra time, we do not stock these with throat snaps. 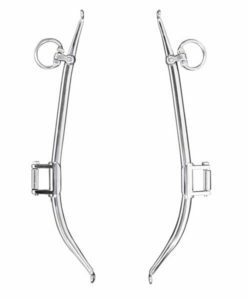 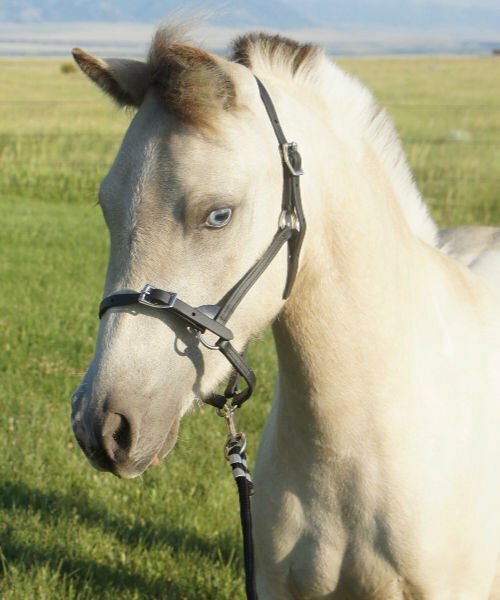 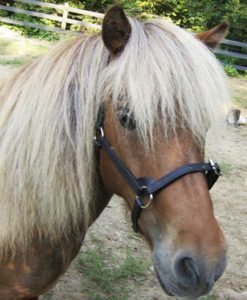 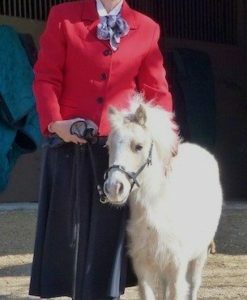 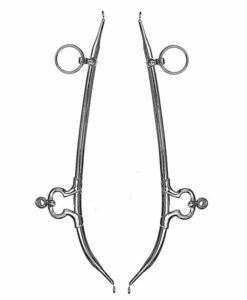 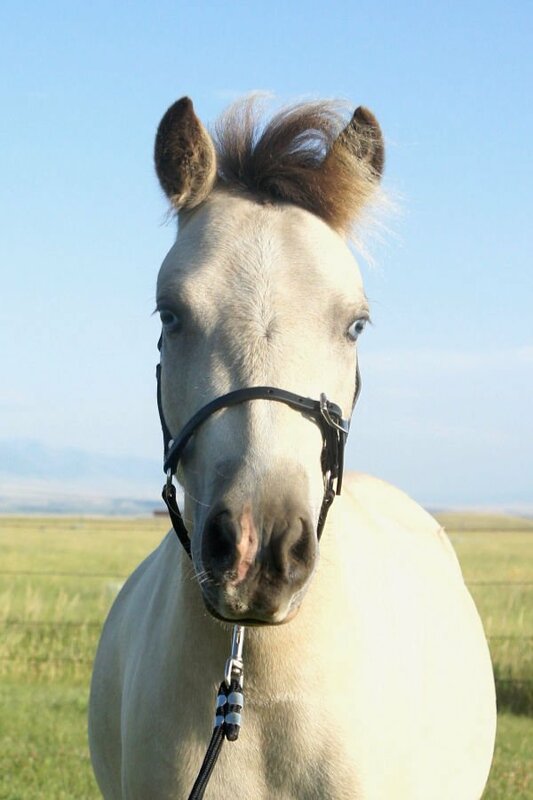 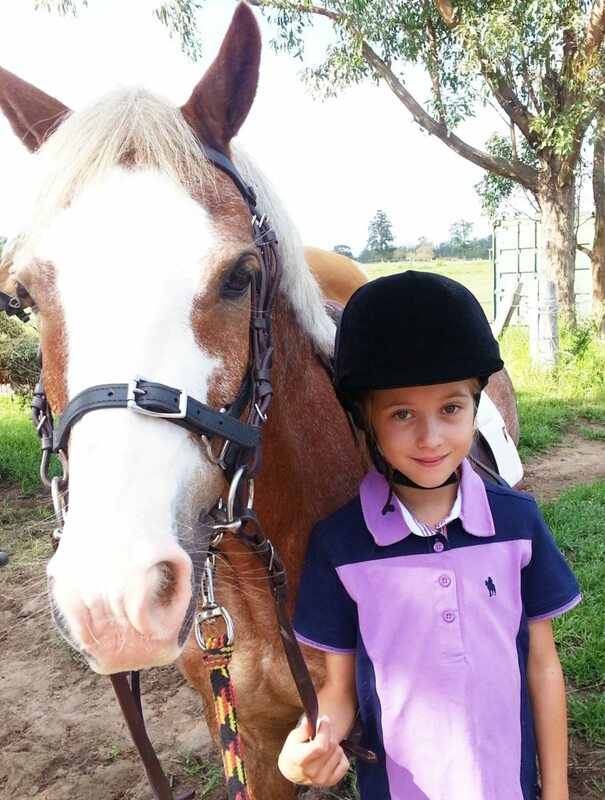 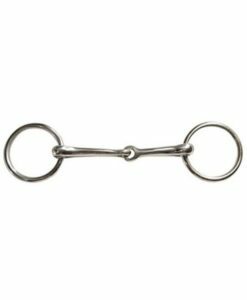 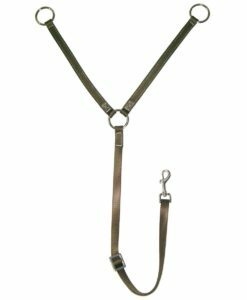 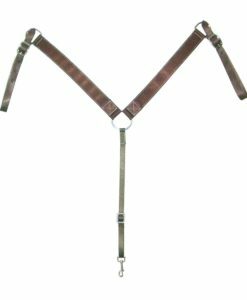 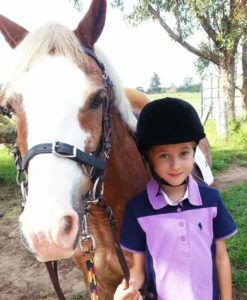 Strap width varies by halter size: Mini sizes: 5/8″, Horse sizes 3/4″ or 1″, Draft sizes 1″ or 1.5″. 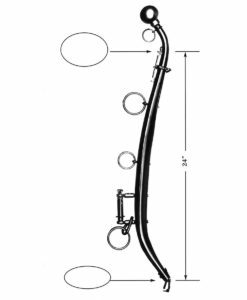 1 1/2", 1", 1/2", 3/4", 5/8"